What to do in Malaga: Free activities for an amazing holiday! Malaga city was often overlooked by tourists heading to the Costa del Sol, but in recent years it has really boomed in popularity. Millions of tourists travel to Malaga International Airport every year and once regarded the city as nothing more than a transit point, tending to pass through on their way to the Costa del Sol’s more popular destinations. But times are changing and tourists are quickly realising that Malaga has a lot to offer. This city is still very traditionally Andalusian, very beautiful and very cheap. There are some amazing things to do here and you won’t miss out even if you are travelling on a modest budget, because there are also plenty of free activities to choose from. Read on to discover our pick of the 12 best free things to do in Malaga. Malaga’s central market dates back to the 14th century. It was originally built by the Moors as a shipbuilder's yard and the Arabic name “Atarazanas” can be loosely translated as such. With its fascinating history, the market has an enchanting atmosphere and is a great place to go shopping for all kinds of local produce including olives, oils, fish, seasonal fruit and vegetables. For a more detailed overview of the products for sale at the market, have a read of our best stalls in Malaga’s Atarazanas Market article. It’s open from Monday to Saturday (closed on Sundays) from 8:00am until 14:00pm. These three are some of Malaga’s biggest and best museums. 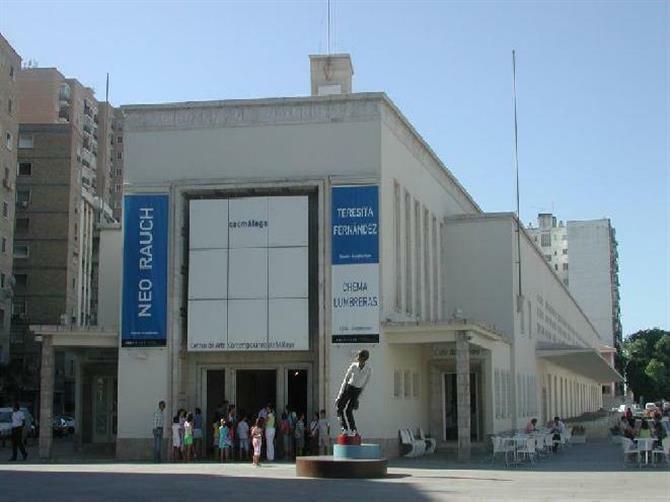 The Picasso Museum is Malaga’s most renowned museum and celebrates the life and work of the city’s most famous artist. It has recently expanded its collection and now displays 233 works of art. Entry is free for the last two hours on Sundays. The Pompidou Centre is both an art museum and art gallery split into three parts - a museum, a temporary exhibition space and a children’s workshop area. Collections include photography, design, architecture and video and there are exhibitions of creative arts such as dance, film and spoken word. Entry is free between 16:00pm and 20:00pm on Sundays. The Carmen-Thyssen Museum exhibits a collection of 230 works of 19th century Andalusian painters. Entrance is free every Sunday from 17:00pm to 20:00pm. Malaga’s Centre of Contemporary Art (known as CAC) houses a fantastic collection of 20th and 21st century art. Featuring artists such as Demian Hirst, Louise Bourgeois, Olafur Eliasson as well as a number of Andalusian artists. The museum promises not to disappoint and entry is free. The Alcazaba fortress and Gibralfaro castle are two of Malaga’s most breathtaking landmarks and are both unmissable attractions for anybody visiting the city. 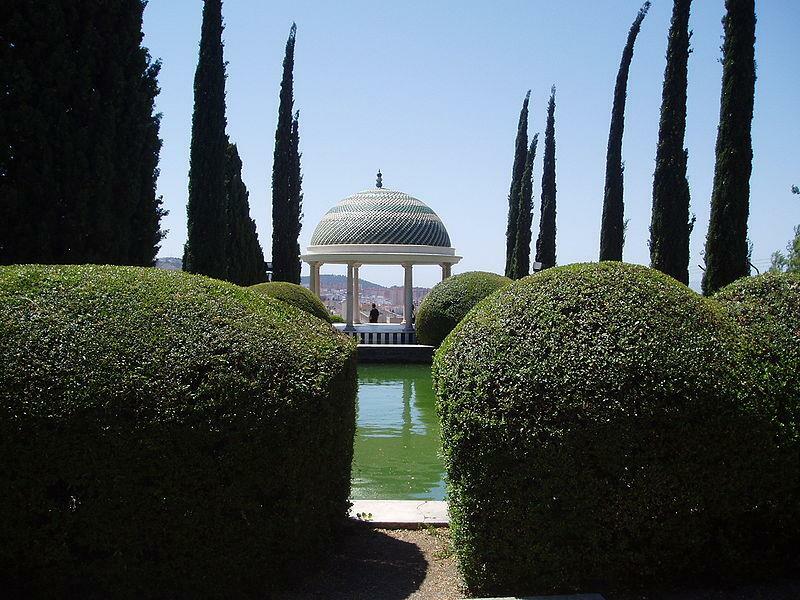 A walk through the eucalyptus trees and carefully landscaped gardens is a truly enchanting experience and the views from the castle are quite simply the best Malaga has to offer. Entrance to both the Alcazaba and the Gibralfaro castle are free after 14:00pm on Sundays. The Gibralfaro hill has two of the best viewpoints in the whole city. One is located on the side of the Gibralfaro hill, between the gardens and the castle and the other is located right on top of the hill next to the castle, which you can access by car if you don’t fancy walking. If you choose to walk to the viewpoints, bare in mind that the ascent is very steep and depending on how fast you walk, it can take between 20 - 45 minutes. A nice idea is to carry some drinks and snacks with you and when you get to the viewpoint, sit down, have a rest, soak up the relaxing atmosphere and enjoy the fantastic city and sunset views on offer. 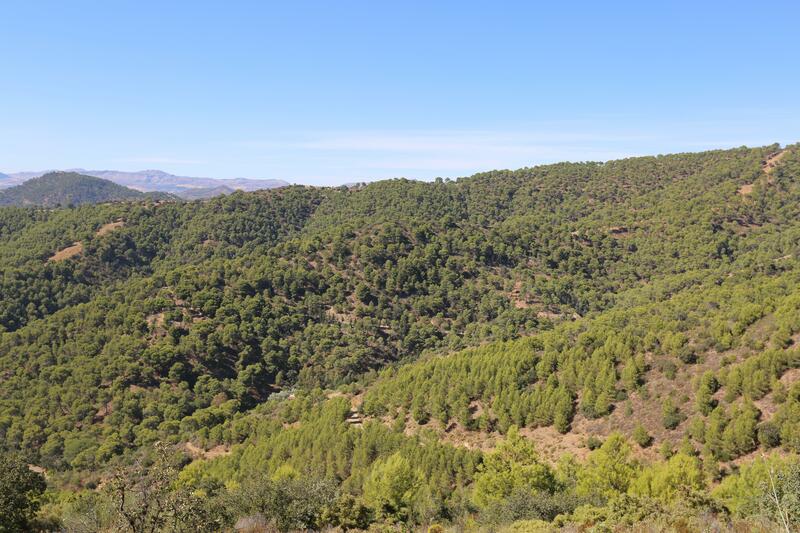 The Montes de Malaga are the city’s green lungs, located just a few kilometres outside the centre it really feels like you are a world away from the hustle and bustle of the city. The nature park has numerous hiking trails, picnic spots and traditional restaurants where you can try one of the popular local dishes ‘plato de los montes’ or ‘dish of the mountains’. The city of Malaga has plenty of squares and parks which offer small oases of shade, foliage and peace. They provide welcome relief from the sun and are a great way to spend a few minutes catching your breath between shopping trips and sightseeing. The Parque de Malaga and the Paseo de los Curas are a botanical park and long walkway stretching along the port and the Alameda Principal. The gardens consist of a collection of tropical plants and trees, well maintained gardens and fountains. The air is filled with the scent of orange blossom and the atmosphere is very peaceful and relaxing. Malaga is a beachside city, so a list of activities is not complete without a mention of its coastline. Some of Malaga's most popular beaches include Playa las Acacias in the east, Playa de la Malagueta in the centre and Playa de la Misericordia in the west which are all very family-friendly with plenty of facilities including children’s playgrounds, restaurants and beach bars. For those who want to venture further afield, the beaches around the area of Pedregalejo in the east are highly recommended. Pedregalejo is one of Malaga’s oldest fishing neighbourhoods and a great place to stay in the city, it boasts a wealth of coves, beaches and plenty of entertainment for all the family. La Termina is a cultural, creative public space located in the west of Malaga, just outside the city. The spaces regularly holds exhibitions, workshops, conferences, lectures and live music concerts for both local and visiting artists and entrepreneurs. It’s a great option if you’d like to get involved in the local cultural and art scene of Malaga during your visit and general entrance is free but will depend on the event. For all information about upcoming events, check out the La Termica website. 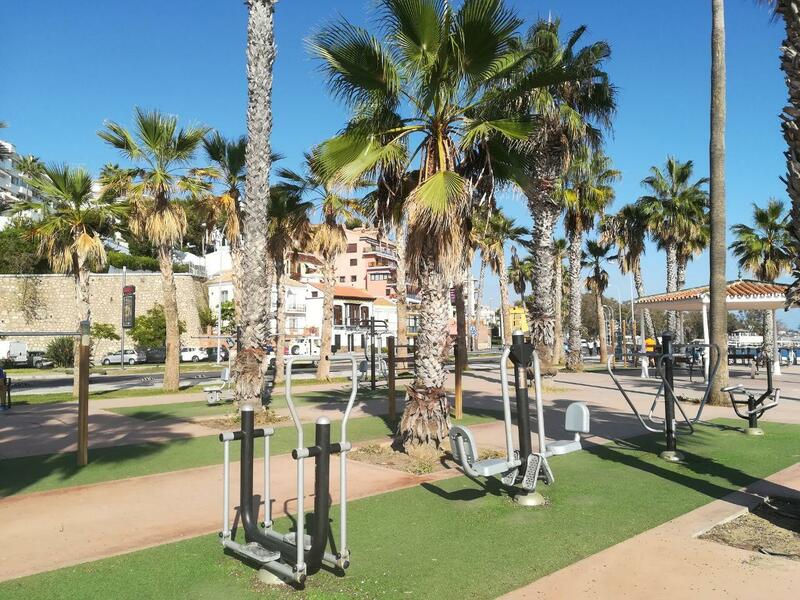 Up and down the coastline, you’ll find outdoor gyms filled with a range of equipment for working out the whole body. If you regularly workout at home and want to maintain the same rhythm while you’re on holiday in Malaga without having to pay for an expensive week-long gym membership, then go down to the beach and find your nearest outdoor gym. They are very popular, especially during the early mornings and evenings when the atmosphere is motivational and energetic. Malaga’s Botanical Gardens is 250,000 square metres of over 2000 species of plants and trees and it’s one of the most exotic and diverse botanical gardens in Europe. The gardens are an oasis of foliage, water features, birds and insects. During the winter months, entry is free all day Sunday from 9:30am to 16:30pm. In summer, entry is free on Sunday afternoons after 15:30pm, making it the perfect place to spend an afternoon or day in peaceful tranquillity. There is a picnic area and lots of benches dotted throughout the gardens so if you pack a picnic as well, you can enjoy your afternoon lunch here. This 18,000 square metre museum has eight rooms - five dedicated to archaeology with a collection of over 15,000 pieces and three dedicated to fine arts with a collection of over 2,000 pieces. It reopened recently in December 2016 and admission is free. If you are going on holiday to the Costa del Sol and just plan on visiting Malaga for 24 hours, check out our itinerary for one day in Malaga with some great ideas for things to see and do. Northern Spain is a great holiday destination with beaches, gastronomy, villages and nature. Discover the best places to stay in northern Spain!